Our self-contained apartment has one bedroom with a queen bed. In our large main area we have a sofa bed and two single beds, so we can accommodate 2 couples and families up to six comfortably. We have a lovely outdoor setting with a barbeque. We provide all linen, a portacot, highchair, SKY tv and unlimited WIFI. Kayaks are available and there is room on the front lawn for your boat. There are many great diving and fishing spots which we can recommend. 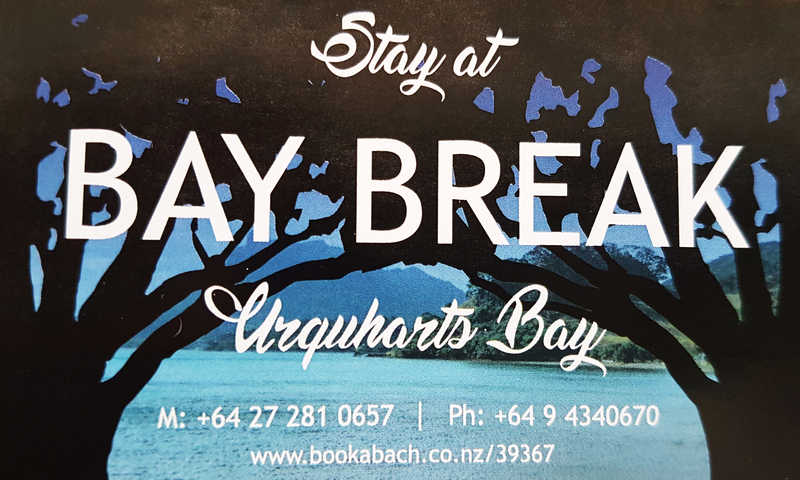 Urquharts Bay is very safe for swimming and Ocean Beach is only a 5 min drive away for great surfing. We are a 5 min drive to the local dairy. 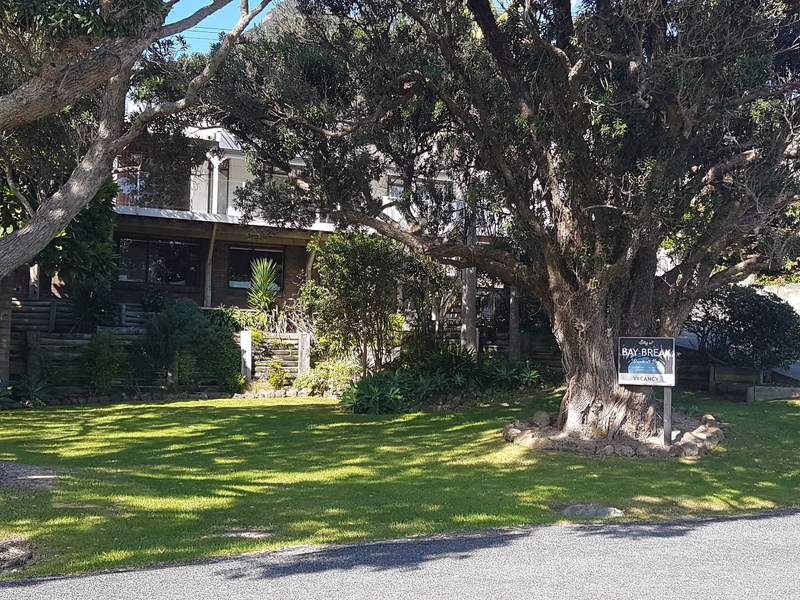 A 10 min drive takes you to McLeods Bay which has a café/takeaway and The Manaia Club for dinners. A 15 min drive to Parua Bay which includes a café, 4 Square for groceries, a Service Station for petrol and dive tank filling and further on is our local tavern with serves lunch and dinner.